Uber Lite makes picking your destination as easy as a tap of a button. Instead of typing where you are, you can choose a nearby point of interest. Additionally, the app stores the city’s top places so that even when you are offline, no network is needed for them to appear. And, with 300-millisecond response time (literally in the blink of an eye), the booking process is fast even in low connectivity. This was made possible as Uber believes in connecting millions to safe, reliable transport at a push of a button. 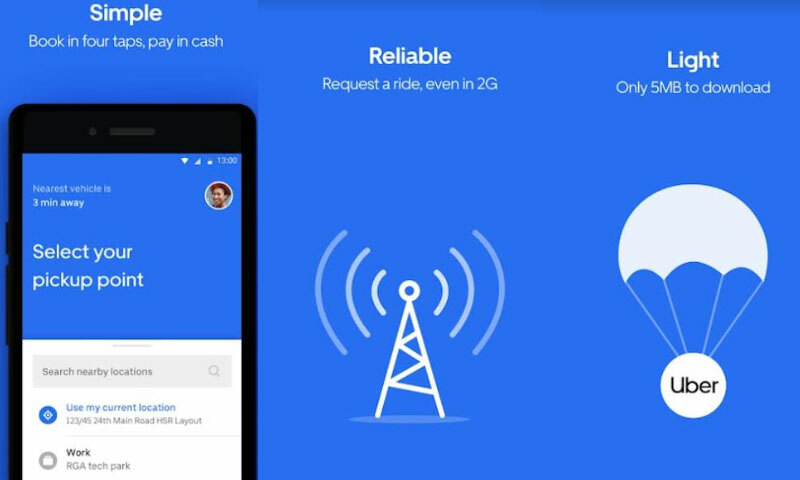 In view of the challenges faced by many in Pakistan, who use low-end Android smartphones or are not yet subscribed to high-speed mobile internet, Uber Lite was specifically developed to cater to this audience. According to data available from December 2018 at Statcounter, Android holds a share of more than 90 percent of the mobile operating system market in Pakistan. About Uber Lite, Head of Marketing, Saad Pall said, “At Uber, we believe that anyone, anywhere should be able to get a ride. This includes hundreds of thousands of Pakistanis who face particular barriers to avail the safe, reliable rides on offer through our platform. Uber Lite will go live in Pakistan, Qatar, Lebanon, Bahrain. Since its launch in Pakistan, Uber now operates in nine cities providing flexible economic opportunity to hundreds of thousands Driver Partners across Pakistan. Uber continues to showcase its commitment to Pakistan, increasing its range of services to meet the needs of riders, driver partners, and cities.